It’s been ages… | An alien voice under a duvet of dreams. 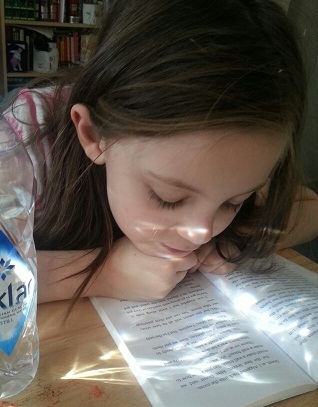 Posted by phoenixaeon in E301, General rubbish, OU, reading, Reading with Principessa, The Principessa Files, TMA05. Neglectful of the blog? Moi? Yes, I admit it. The evidence stands up for itself, really. But, you know. Life. The last month has been doctor’s visits followed by hospital appointments, followed by unrelated hospital appointments and joining a gym, only for the gym to be neglected due to being knackered from all the hospital appointments. And then interwoven through this is the constant read/write routine for the OU studies, the read/write with Princi for her reading diary, and the read/write of permission slips for school clubs and activities. I’m kind of thankful that it’s half term right now, and thankful for Uncle Gaz and Grandand, as they have been taking Princi rock climbing and swimming (she had her first ever taste of swimming today). Engrossed… Or maybe just sleeping. The studying. Princi is doing fabulously. I finally made some snarky remark in Princi’s reading diary about the rubbish books that she was being forced to read, books that were at the level she was reading three years ago, and the teacher finally gave her a book that was more her level. 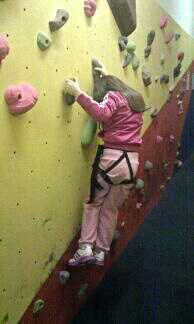 It’s driving me up the wall, this school lark. Princi is so bored because they keep repeating the same things over and over – I mean, she’s still being sent home with maths homework that asks her to add and subtract in twos. When she gets given something new and challenging to do while in school she thrives, yet this seems to piddle off the teacher no end because she can’t keep up with Princi, as Princi forces the teacher to have to provide her with harder and harder questions because she rattles off the work so fast. Two years ago I wouldn’t have needed to complain, as the teacher she had then was so happy to have a kid who wanted to learn that she wanted to challenge her. The teacher that she has now doesn’t really want to be bothered. It really irks me something chronic. So during the half term Princi and I have been working on her comprehension and times tables. And just as an example, Princi started rattling off the twelve times table the other night out of nowhere, something I nor the school (who now only teach up to the ten times table) have not gone through with her, as she’s finally understood how to work the patterns. She really does make me proud every day! As for me… Well. I think I may need some rubber wall paper soon. I am just not getting this course at all! 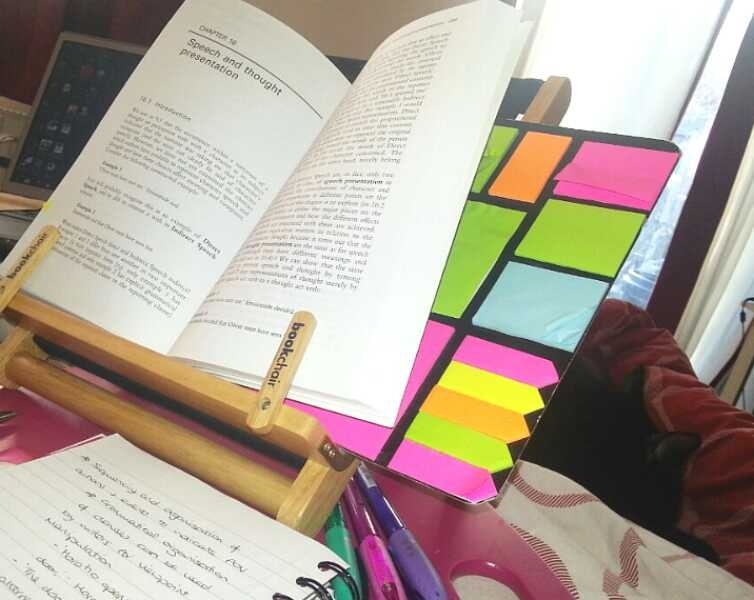 Don’t get me wrong, my essay results have been good – not distinctly good, just good – but I don’t feel like I’m retaining or even understanding anything! Despite my fascination with words it seems that linguistics is not for me. I would definitely rather play with them than study them. Still. Only three more essays to write, at the grand total of 8,500 words, and my studying with the OU is complete. I can hardly believe that I’m almost done. I really am going to miss it. But as it is, I should be getting back to the reading for TMA05. I just have to choose an excerpt of narrative fiction now so that I can fully prepare for the essay. I’m currently deciding between an excerpt from Little Brother by Cory Doctorow, American Gods by Neil Gaiman, or The Amber Spyglass by Philip Pullman. If only I could find my copy of Spares by Michael Marshall Smith, I think my decision might have been made already! Yep. Very annoying. Very demotivating, too. That’s why I do what I can with her at home. It’s also why I’ve got to brush up on my maths and get my head around the ‘tricks’ they use now. It all looks so much more complicated than the way we used to do things.